WEITEC is a suspension specialist which is a subsidiary of KW, but they also have a good taste in other fields of tuning. 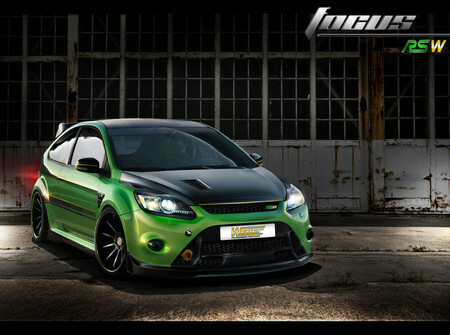 Take this Ford Focus RS as an example. As for the suspension you can either get the SPORT F Springs which lowers the car by 30 mm, or the adjustable GT kit which can drop it between 10 and 40 mm. You can also go for full pro WEITEC HICON TX “plus” coilover suspension. Thanks to adjustable rebound damping, this permits the hardness of the suspension to be adapted. Even once it has been installed, it allows the setup to be adjusted at any time to the driver’s preferences and the demands of the track. New Ford Focus Finally Rolling!